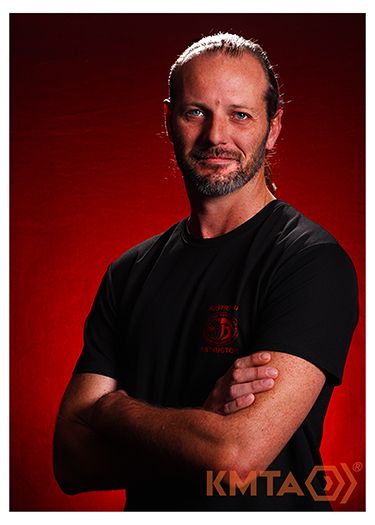 Russell was first introduced to Krav Maga where he trained for a number of years from 2011/12. From 2015, Russell became a student with KMTA Loganholme, and is now giving back as an Instructor there. He builds confidence with a mixture of fun, passion and challenges. His real life experience growing up in the heart of Woodridge is echoed in his rough around the edges, adapt, and above all survive style. Though self-proclaimed as "rough around the edges", KMTA sees Russell as an instructor with a heart of gold, an approachable and easy-going spirit, and a passion for working with our students. With exposure to martial arts and other self-defense systems including wrestling, boxing, MMA and muay thai, Russell appreciates the evolution of Krav Maga and it's openness to outside influences. In the future Russell plans to continue his Krav Maga studies by undertaking a Fight the Fighter course, to further enhance his understanding of the Krav Maga system.